One of the cornerstones of Xi Jinping's healthcare reforms is the urging of public hospitals to take advantage of "social capital" (ie private investors) for future expansion and development. Unfortunately, in China's murky and non-transparent climate of investment, things are quickly going wrong in predictable ways. A hospital in Jiangsu now owes its mom and pop investor almost a billion yuan, according to reports in the People's Daily. The Workers Hospital of Suqian asked locals and employees to put their capital into the hospital's investment fund and promised regular interest and dividend payments. In 2012, a man called Chen heeded the call to invest in the Suqian hospital to help fund the building of a new hospital and to further develop and expand medical services. The hospital guaranteed a fixed income and this was backed by the local government. 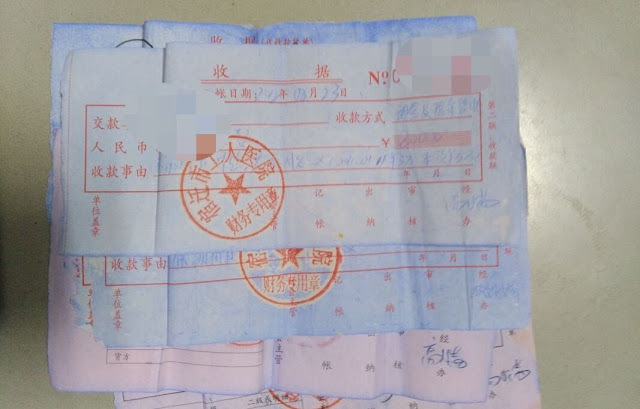 Mr Chen put in his 2 million yuan retirement savings and was initially pleased with the interest payments he received on a regular monthly basis. In fact, Mr Chen was so impressed he persuaded his family and friends to invest their money in the hospital as well. In addition, local TV advertising that was aired to promote the fund resulted in more than 2000 small time investors putting close to 900 million yuan into the Worker's Hospital Investment Fund. However, things started to go wrong in April this year when the hospital defaulted on its interest payments. Investors who asked why they hadn't received their usual payments were fobbed off with non-commital replies. However, as public complaints and protests increased, the local police and authorities have opened a financial investigation into the missing monies. So far they have found that there is not enough money to pay the interest and also not enough to repay the principal sums that were invested and which most investors are now demanding be repaid. Several of the hospital financial managers have been detained for further investigation and the local authorities say they are now tracking a number of unauthorised financial investments. It looks very much like the Suqian people have had their social capital blown on the roller coaster Chinese stock market that crashed so spectacularly this year. Meanwhile, China's private hospital market has started to take off in a big way with more than 8000 hospitals and clinics in the loose "Putian Network" forming an procurement alliance. The Putian hospitals network is a loose association of healthcare establishments set up from the 1980s onwards by entrepreneurial families from the Fujian town of the same name. Although suffering from a poor reputation for marketing of dodgy services such as fertility clinics and cosmetic centres, many of the Putian hospitals are trying to transition into more respectable establishments. Several of the hospitals have formed groupings and sought investors through IPOs. Now the Putian group hospitals say they are seeking to consolidate and form buyer's groups to give themselves greater purchasing clout. However, Putian hospital are still suffering from a credibility after being banned from Baidu for their dodgy advertising claims.